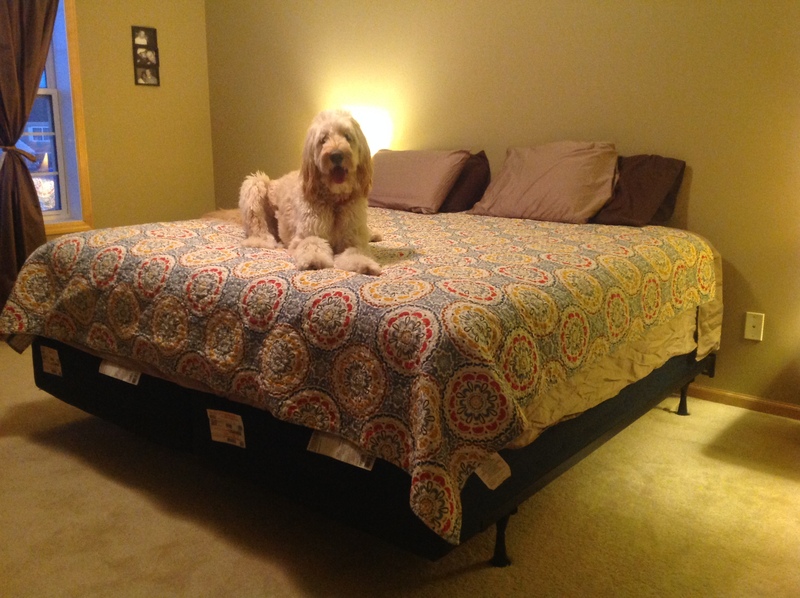 New Bed – Go Blondie! After Christmas settled down, Carl and I had been discussing getting a new bed. One of the main reasons is for better sleeping for me to help with my auto-immune diseases. We had looked at Mattress Firm recommended by my brother. We had stopped one mattress place the night before and they were having a sale and we laid on a bed that wasn’t at the other place and it was amazing. So we went to Mattress Firm the next day to see if they had that bed. Technically, Simmons Beautyrest has different names but this one was called the “Contender”. We got a huge deal and they delivered it the next day. Here is what Arie thinks of the bed! We did get a king bed to accommodate all of us.